Freestyle Cyclists | Do helmet laws make much difference? Do helmet laws make much difference? Australian pedestrian and cyclist deaths before and after helmet law. Pedestrian deaths have been scaled to sit on top of the cyclist death line for comparison. There are more pedestrians killed than cyclists, so the cycling data looks more variable in comparison. Can you see any effect of helmet law? If there is any effect it is very small. Deaths for both cyclists and pedestrians were going down in the late ’80s but progress has stagnated since then. What has caused the overall decline in deaths? Mostly it was due to massive ramping up of speed and red-light cameras, together with the introduction of demerit points. You can read the detailed history here. Real safety comes from preventing collisions and lowering speeds. Update: a paper published in 2015 shows that the “odds ratio” test used to estimate the effectiveness of helmets is unreliable and typically overestimates the effectiveness of helmets. In the three studies for which sufficient data was available, an accurate measure of the risk ratio is possible and in all three cases the published studies had overestimated the effectiveness of helmets. See Overestimation of the effectiveness of the bicycle helmet by the use of odds ratios and PDF. Thanks to Rebel Metropolis.org for the bar chart. It is plain to see from the graph that deaths in cyclists have been reducing since 1991 (the introduction of compulsory helmets). I assume an increase in cycling participation has also been experienced over this time period yet the number of deaths has reduced, therefore the per-capita assessment would be quite favourable to the introduction of compulsory helmets in Australia. I think your argument is spurious or disingenuous. 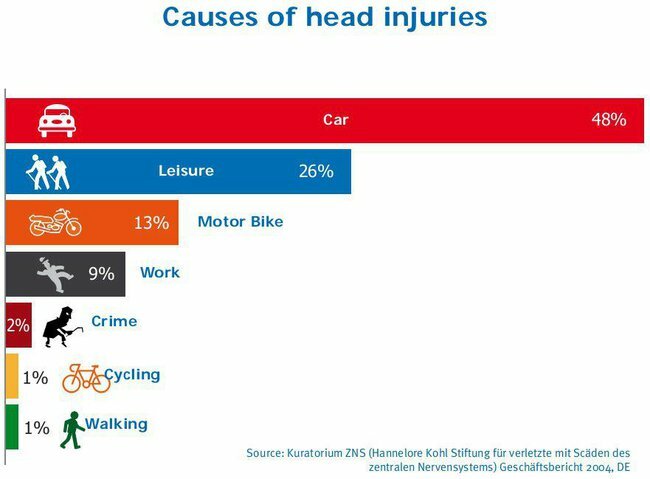 You should be supporting the wearing of helmets if you want us to ‘feel’ safer on the roads amongst traffic or not because it is actually safer. You have observed that cyclist deaths have gone down, but you have failed to notice other things: Firstly, deaths were reducing prior to introduction of helmet law, and continued to reduce well after helmet wearing rates became and stayed high owing to the law. If helmet law was the reason then there would have been a decrease when the law was introduced, not a continuous decrease over the entire period shown. Second, the fact that pedestrian deaths follow a very similar decline should make you think about improvements in road safety generally. In the years immediately prior to helmet law in Victoria for example, demerit points were introduced along with a significant expansion of speed and red light cameras. The data indicates that these changes caused a reduction in the number and severity of car crashes, which benefited both pedestrian and cyclist safety. Cycling participation continues to go down nationally as shown by the recent update to the National Cycling Strategy. See also our post http://www.freestylecyclists.org/modal-share/ which shows that cycling to work as reported by the Australian Census is still lower today than prior to helmet law.